4 Bedroom, 1.5 Bath Home, Furniture, Tools, & Misc. 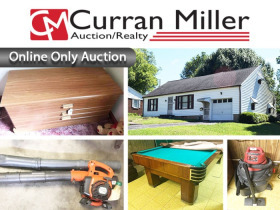 | Curran Miller Auction/Realty, Inc.
4 Bedroom, 1.5 Bath Home, Furniture, Tools, & Misc. 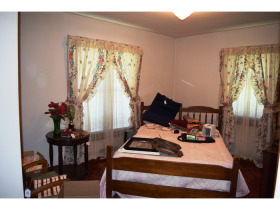 This Online Only Auction Features: A 4 Bedroom Home, 1 & 1/2 Bath Home, Furniture, Tools, & Misc. W/ Basement on Evansville's West Side. Property Directions: From the Lloyd Expwy, take the Barker exit and turn right. Turn left on W. Franklin to the property. 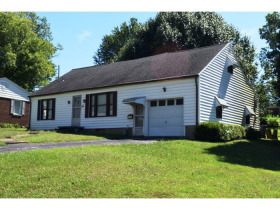 Update this conveniently located west side home & make it yours! The 79’ X 142’ corner lot is improved with a 952 square foot ranch with 4 bedrooms, 1.5 baths and 1 car attached garage built in 1949. 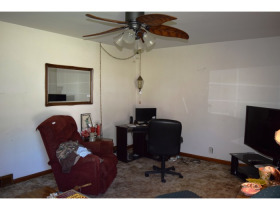 The nice sized, carpeted living room with wood floors underneath. 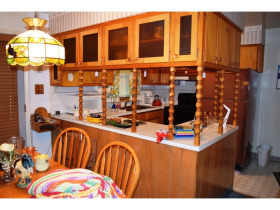 Eat-in kitchen with great storage, newer Maytag gas range, Coldspot refrigerator, double sink and access to back patio. 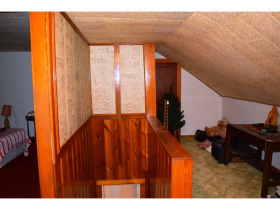 Two carpeted bedrooms with closets and built-in cabinets. 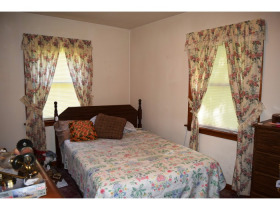 Both bedrooms and hall have wood floors underneath the carpet. Hall bath with tub and shower combo. Large one car attached garage with laundry hook ups, utility sink workshop area and double sink. 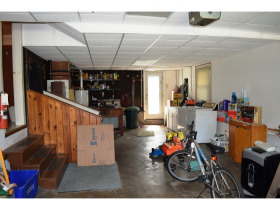 Access to finished partial basement is in the garage. 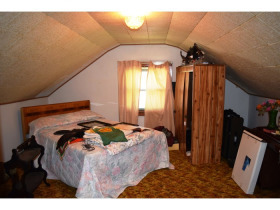 Attic has been converted to finished living space consisting of two rooms used as bedrooms and a half bath. 11’ x 12’ utility shed in back yard.  Gas furnace & water heater. •	There is no Buyer's Premium on the real estate. •	A non-refundable, earnest money deposit of 10% OR is due within 24 hours of the auction conclusion with the balance due within 45 days. 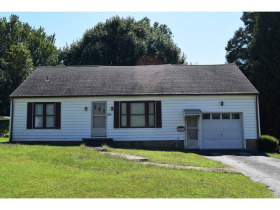 •	This online only auction is not contingent on or subject to financing, appraisal, survey or inspections of any kind, as agreed to by Bidder and or Buyers at registration prior to bidding and specified in the Contract for Sale of Real Estate under “Files” sections of the webpage.